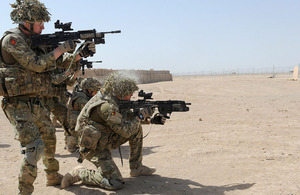 Royal Anglian soldiers have completed RSOI (reception, staging, onward movement and integration) training after arriving in Afghanistan. RSOI training is provided by the Operational Training and Advisory Group and is the final stage of a six-month-long training package that is completed in the theatre of operations to ensure that the soldiers have the most up-to-date tactics, techniques and procedures and intelligence at their disposal. RSOI training also provides a time for initial acclimatisation to allow the body to adapt to the harsh climate of Afghanistan, reducing the impact of heat on the body’s performance. 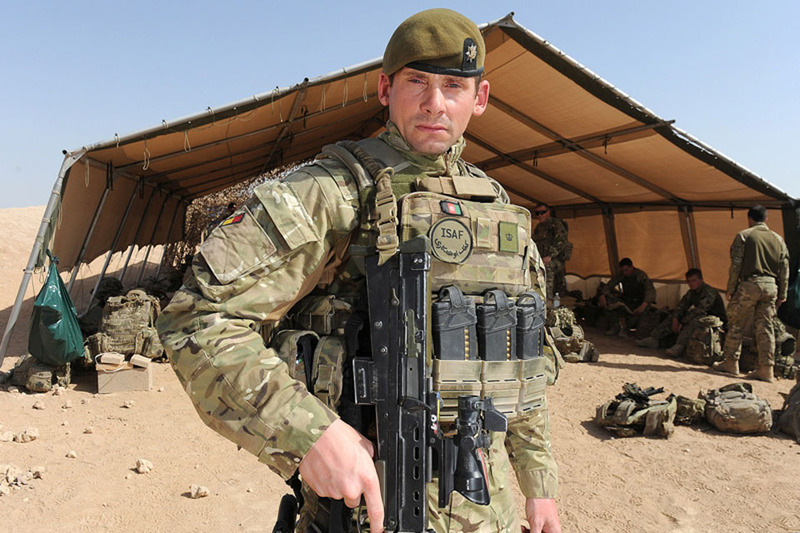 Soldiers from A Company, 1st Battalion The Royal Anglian Regiment, have recently arrived in Afghanistan for Operation HERRICK 16. They are part of 12 Mechanized Brigade who took command of Task Force Helmand in Afghanistan last week and will be in theatre for six months. The RSOI training package is excellent, the acclimatisation it gives you, the most up-to-date tactics, techniques and procedures are all really good and the ability to undertake more training as a company group has been excellent. I’ve majored on extra ground sign awareness and shooting for the boys, these are lifesaving skills and drills that we cover before we deploy, but out here you get to train in the environment you’ll be working in. The adaptability of the team to tailor the extra training to what I want for the company has been brilliant. The RSOI training has been extended from when I previously deployed on HERRICK 6. It has been a brilliant package with key skills like ground sign and cultural awareness during the day and then in the evening you have time to resort your kit and equipment if you need to. It’s good being able to acclimatise as it’s a lot warmer here than Norfolk!